This post is from Devon Walshe – organiser of Hacks and Hackers Edinburgh and MD of local student paper, The Journal. 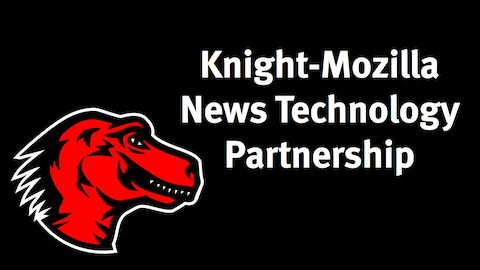 The Knight-Mozilla partnership is bringing an exciting, full day of planned spontaneity and organised chaos to Scotland this Friday as part of its news technology partnership. The creators of Firefox have teamed up with the Knight Foundation and launched a three year partnership to harness open web innovation for Journalism. Events are kicking off this month all over the UK, with one coming Dundee on the 27th of May. The full day, open to all brainstorming event is co-organized by the Knight-Mozilla partnership, Product Design Dundee &Hacks/Hackers Edinburgh. Attendees have the opportunity to win one of 15 places on a year long fellowship with The Guardian, Al Jazeera, The BBC and other news organisations if their ideas are selected for the next stage of programme. The Dundee event programme includes a short set of talks from Mozilla, Hacks/Hackers Edinburgh, Michael MacLeod ofGuardian Local Edinburgh and more, followed by a series of brainstorming session where attendees will use video cameras, raw wit, and anything they can find to create new ideas and plenty of opportunities to meet new people. Knight-Mozilla are kindly providing food and drinks for everyone. Submissions tackling these challenges are also open to the public through the #mojo website with a June 6th deadline.